MANILA - (UPDATE) Detained Senator Leila de Lima on Sunday accused President Rodrigo Duterte of harboring a plan to unseat Vice President Leni Robredo and allow former Senator Bongbong Marcos to succeed him. Marcos is contesting his narrow loss to Robredo during the 2016 vice presidential race. Duterte, who has repeatedly belittled the Vice President's leadership skills, had said he might step down before his term in 2022 if Marcos wins his protest before the Supreme Court. 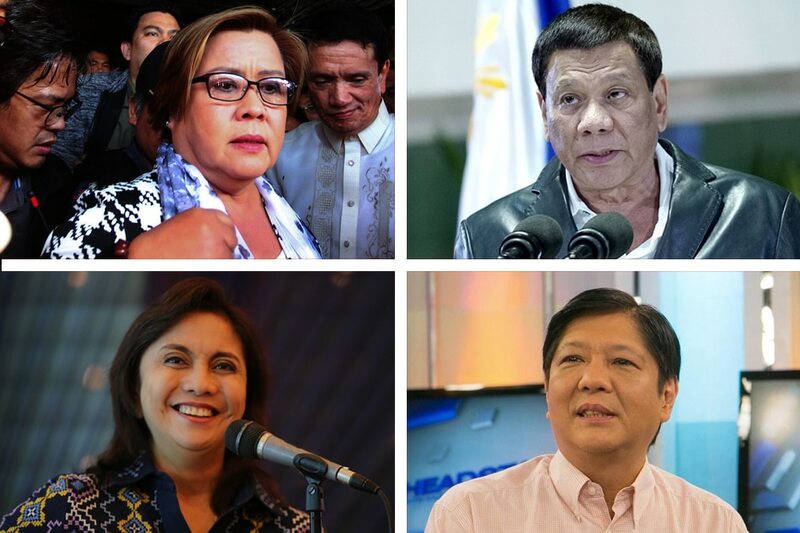 Duterte "is demolishing Robredo's public image to make it easier for him to sell Marcos' hovering fraudulent victory at the Presidential Electoral Tribunal (PET) to the people," De Lima alleged in a statement. "After the Supreme Court has demonstrated its capability to perform the unconstitutional ouster of its own Chief Justice, it can no longer be relied upon to stand as the guardian of the Constitution and the rule of law," she added. De Lima urged the public to resist and remain vigilant against what she called a "Duterte-sponsored Marcos comeback." "Now, more than ever, citizens must rely on their own organic power to thwart any attempt to undermine constitutional democracy and to foist Duterte's illegitimate choice of successor upon the Filipino people," she said. The Supreme Court in June affirmed the ouster of its former Chief Justice Maria Lourdes Sereno through a quo warranto petition accusing her of failing to declare her wealth in full when she applied for her post in 2012. Duterte in late August appointed Chief Justice Teresita Leonardo-De Castro, who voted in favor of Sereno's removal. Malacañang, for its part, branded De Lima's accusation as a "prison hallucination." "Prison hallucination. Fate of VP is with SC and not the Pres," said Presidential Spokesperson Harry Roque in a text message to reporters. The President has also denied any involvement in Sereno's ouster. Malacañang, meanwhile, said Duterte was not paying a debt of gratitude when he appointed De Castro, who was the most senior candidate for the post.